Well we were all pretty pumped this morning when the bus picked us up at 8:00 am. 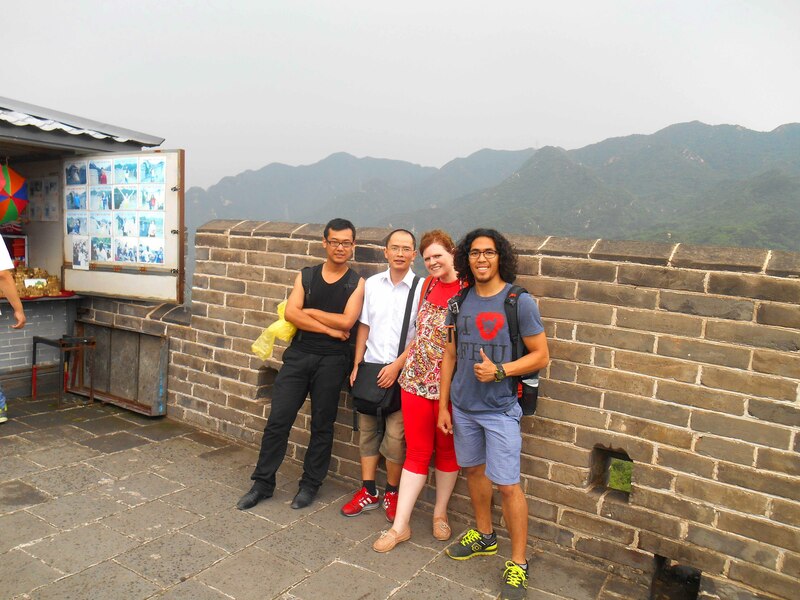 The drive took about two hours to reach the Great Wall, and guess what – It was pretty great! 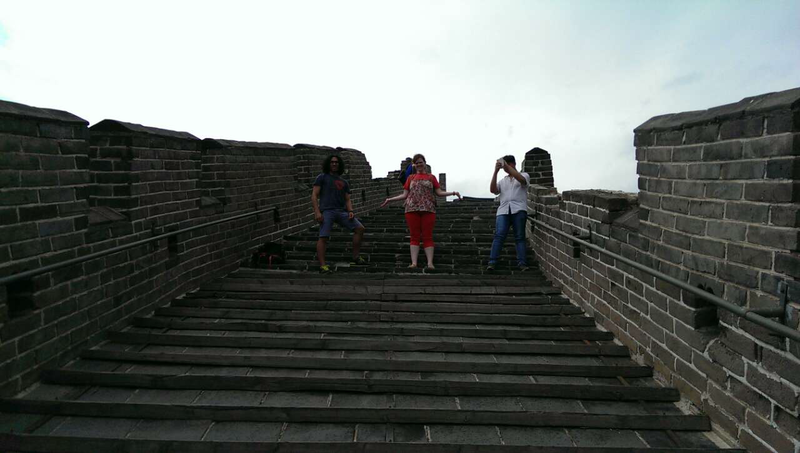 When we arrived the sun was out but sunshine soon turned to rain, so we all spent 10 yuan for ponchos to wear while we climbed. Fortunately the rain cleared up within about 30 minutes and the rest of the day was beautiful. We even saw the hint of a blue sky. 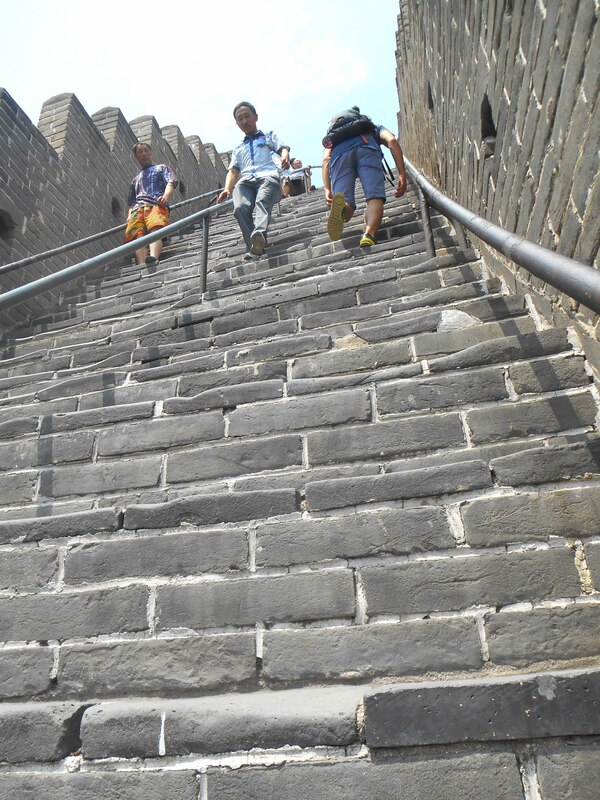 I had no idea the steps would be this steep but they went straight up. No stairmaster for me this week, I’ve definitely been getting my exercise. 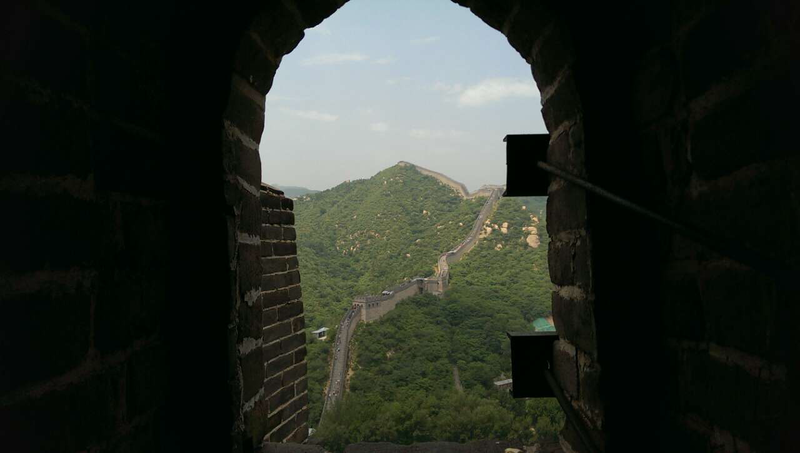 It took most of the morning to climb both sides of the wall, but the view from the top was amazing. I can now say that I have conquered one of the seven wonders of the world. Only six more to go… what are they again? Oh well, that’s a story for another day. 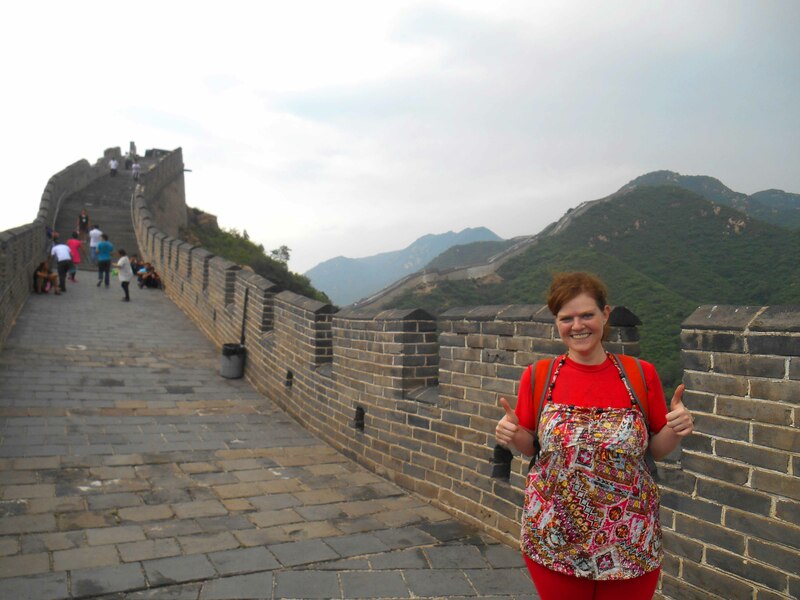 They make t-shirts that say “I conquered the Great Wall”. I’m not sure who won the battle but I did make it to the top of the wall, which in my book is a victory. Next Post Summer Palace, here we come! 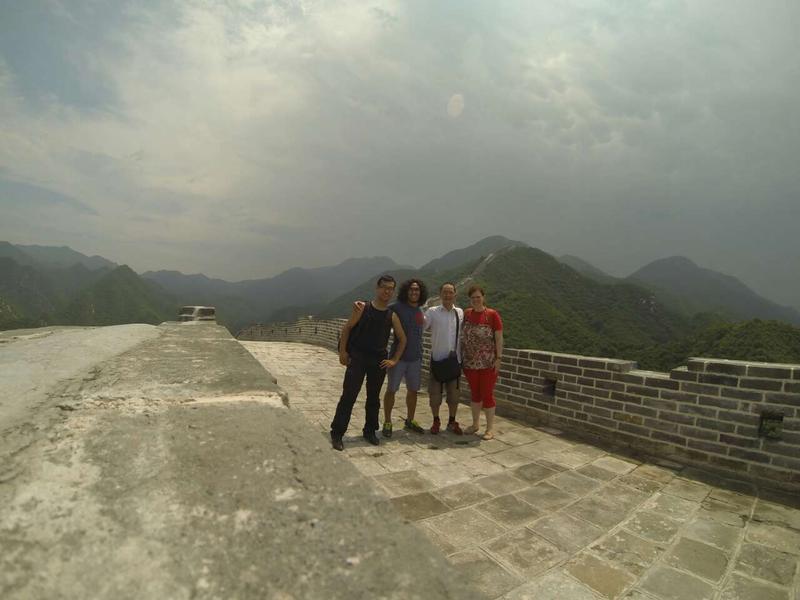 The Great Wall of China! How cool is that!